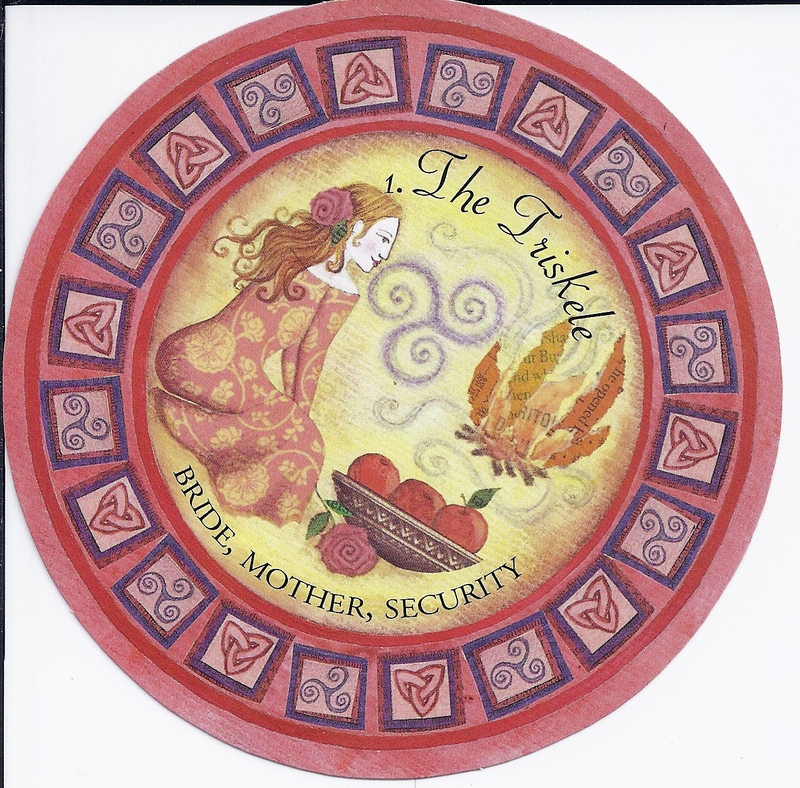 These week I am using Celtic Messages Oracle deck by Joules Taylor. There are several layouts that came with this set that I only use with this deck. There are 52 cards broken down by color into Helpers, Places, Tools and Totems. The cards are round, so all the positive and negative connotations of the cards are in each one. The card below and to the right is supposed to be where I am in the situation, “physically or mentally”. 23. 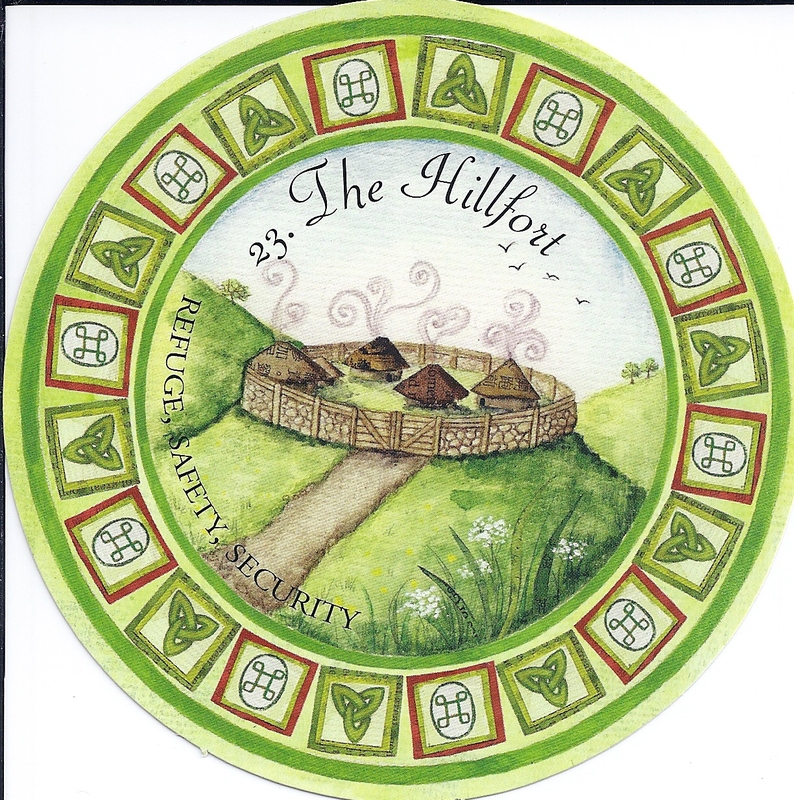 The Hillfort with keywords of refuge, safety, security. [I don’t feel very secure at the moment, but I am looking for security.] Ah! “Now is the time to find like-minded people to defend what is important to you.” That makes a bit more sense. The card above is what I can do to improve the matter. 20. 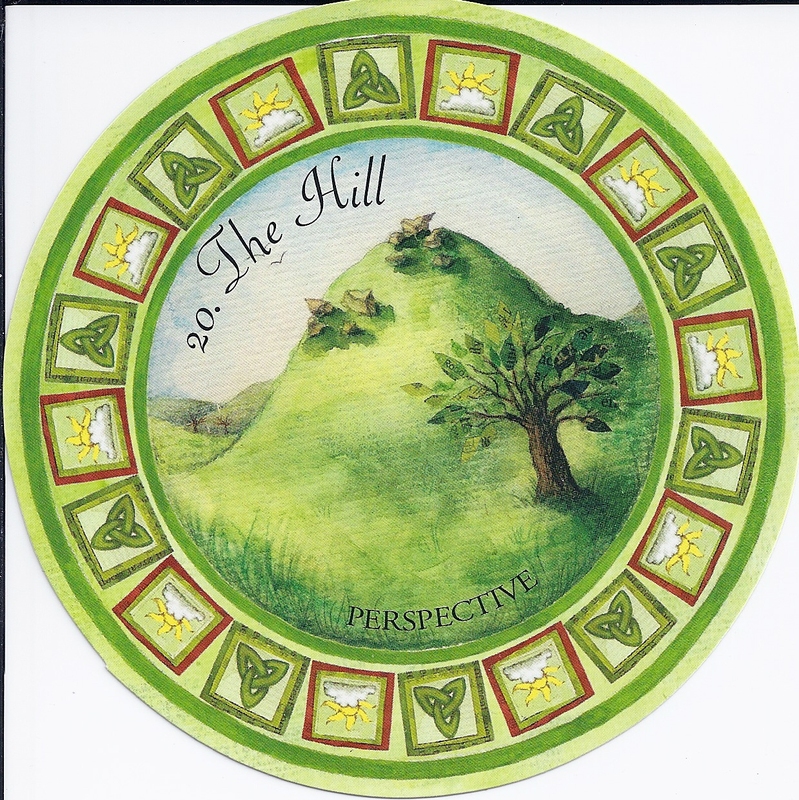 The Hill with keyword perspective. Take a step back and look at the plan as a whole. The card below and to the left is the result. 36. 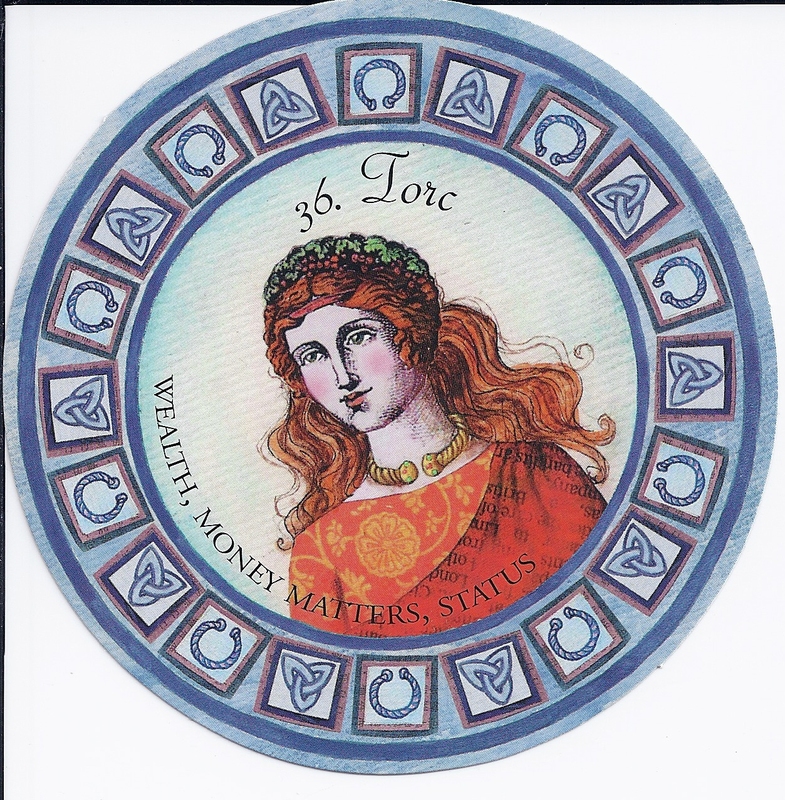 Torc with keywords wealth, money matters, status. Looks like that can be good or bad. It might mean an unexpected windfall or it might mean an unexpected bill. 😛 Wish I knew which! I will say that many readings I’ve done in the last month keep indicating that I will be ok financially, but I’m not really sure what form that will take. I didn’t ask a specific question when I pulled the cards, and I have to admit, I’m not totally sure what this is referring to. Regeneration, finding others to defend important things, stepping back for perspective, money. This could be about my business or looking for a job. If so, it’s mostly positive.